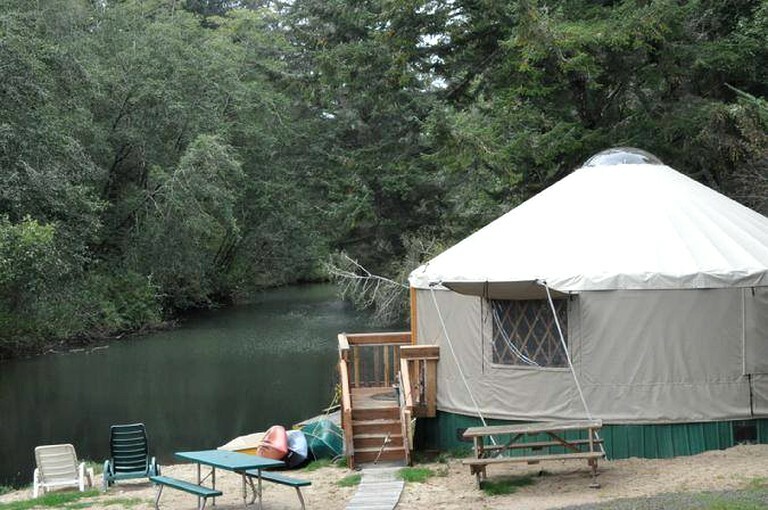 This pet-friendly yurt rental in Oregon can accommodate up to four guests and has an open floor plan. There is a sofa bed and a normal sofa in the sitting area, and there is also a double-sized bed with a cabinet and shelving unit for storing personal belongings and a bedside table with a lamp. The kitchen area has a flat-screen television, as well as a refrigerator, a two-burner stove, a sink, a microwave, a coffeemaker, and tableware and cookware. There is a dining table, also. 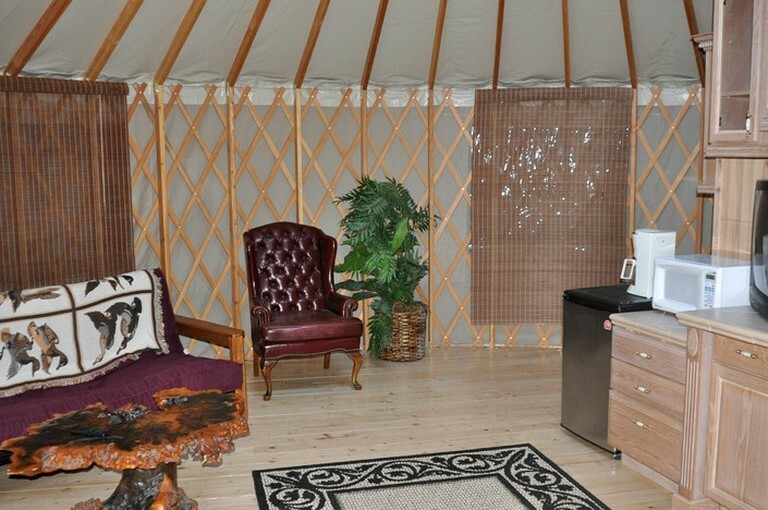 Dogs will love curling up by the yurt's electric fireplace. 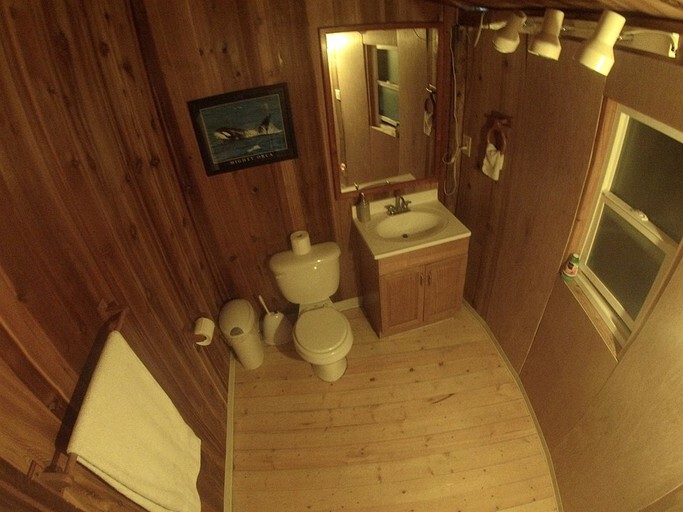 There is also a bathroom with a toilet, a sink, and a shower. For guests' convenience, towels and linens are provided. 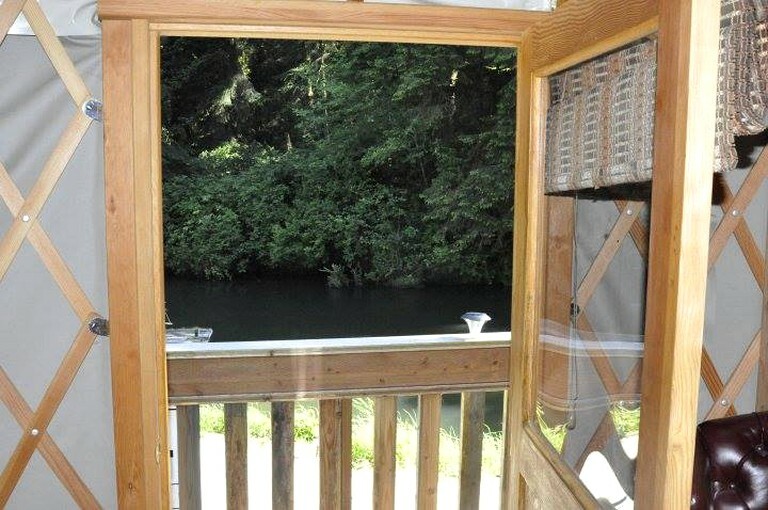 Outside, there is a spacious deck with lounge chairs, a barbecue, and patio furniture. There are also many different plants and flowers that dogs will love to sniff. 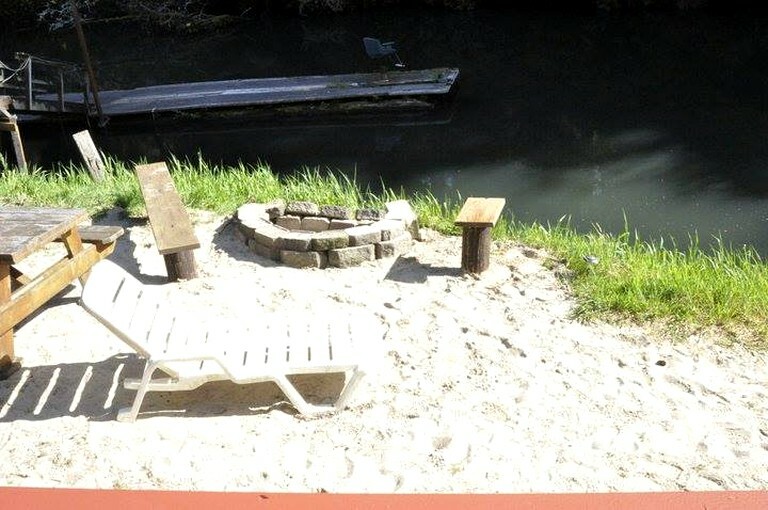 There is a fire pit on the private beach, as well as a private dock where the site’s kayaks and canoes can be found and where guests can dock their boat, if necessary. There is free Wi-Fi at this pet-friendly glamping site. 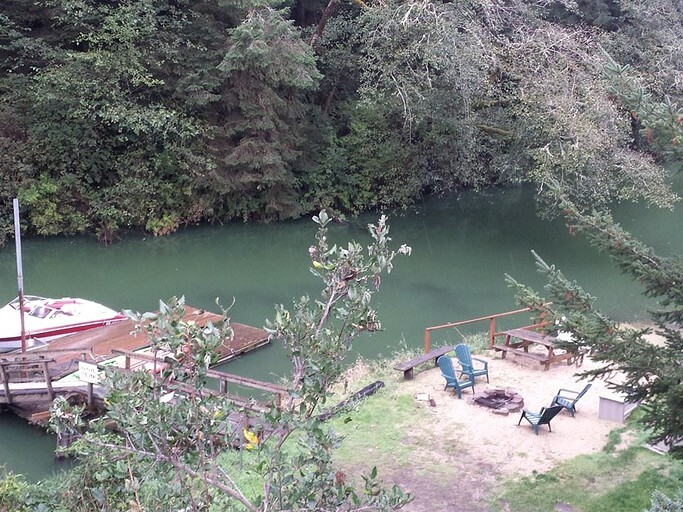 There is also a private beach on the lake with a fire pit, and guests will have access to free boat moorage. 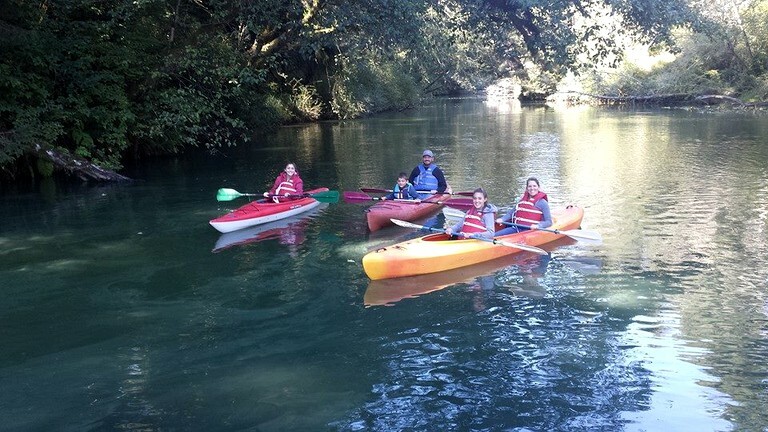 The hosts provide kayaks, canoes, and paddleboats for guest use. 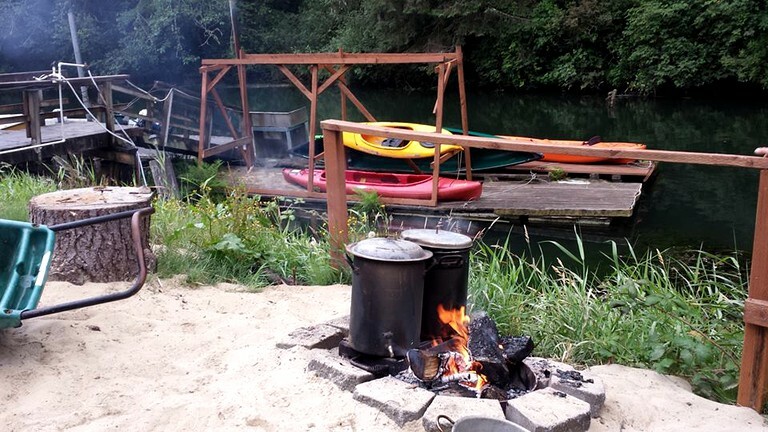 Dogs and their owners will never run out of things to do at this glamping site settled right on Siltcoos Lake, Oregon. 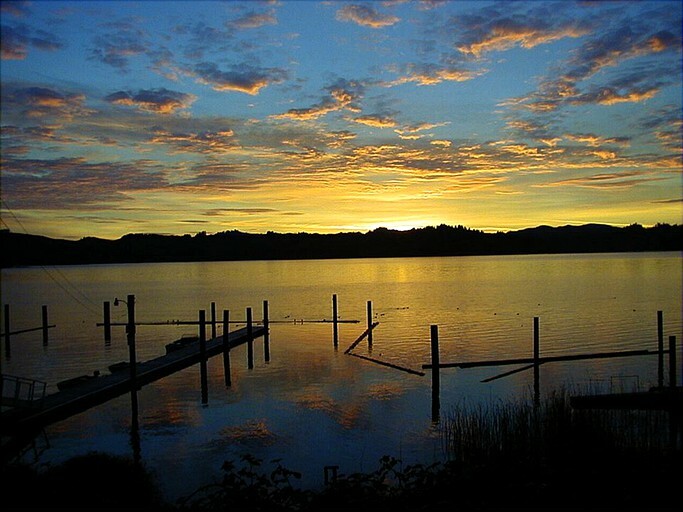 This enormous lake is ideal for kayaking, canoeing, and boating, and glampers can also kayak down the Siltcoos River. 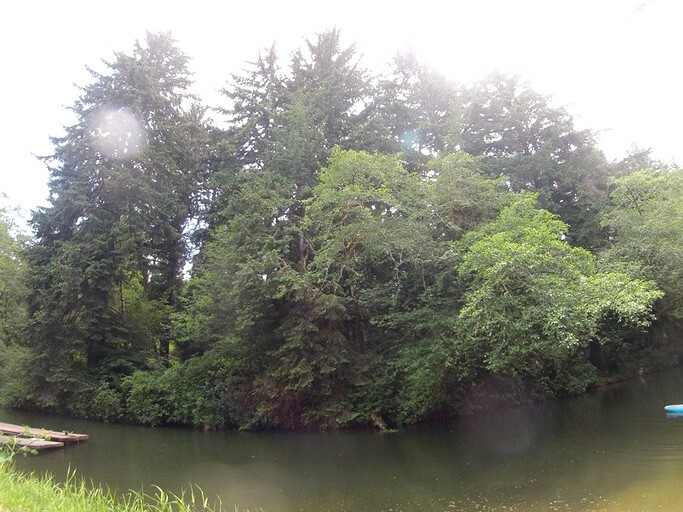 No two dog walks will be the same in this forested area, and the beaches will lead to plenty of fun in the outdoors. 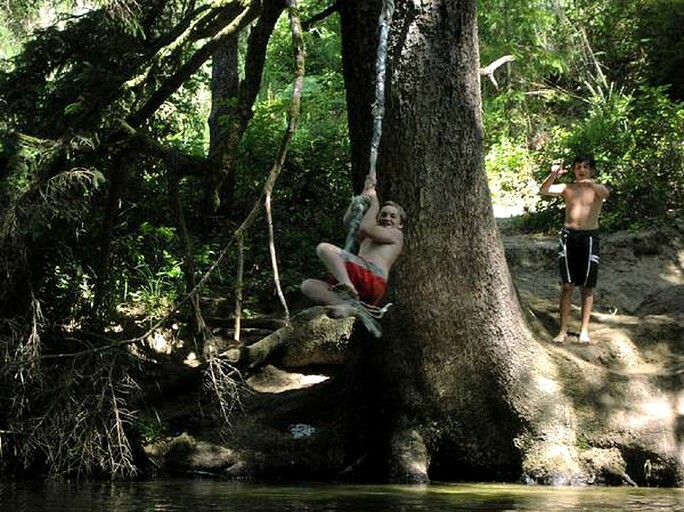 Other opportunities including crabbing, fishing, beachcombing, quad biking, and horseback riding, and afterwards, glampers can wander into town for a bite to eat or take a day trip to a nearby city for some sightseeing. 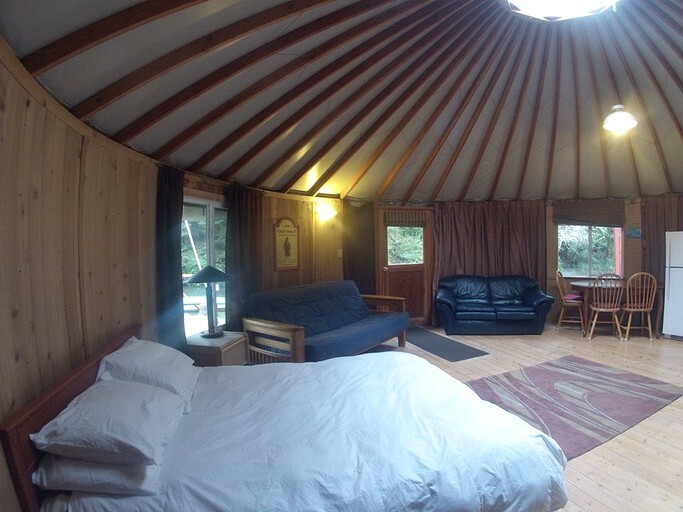 If guests would like to bring their pets to this glamping site, they must inquire with the host upon booking request. Large or aggressive breeds cannot be accommodated. An extra cleaning fee may apply.